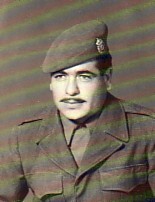 Above: My father, Georgios, during his National Service (1948- 51). Above Middle: A portrait of me during my National Service. 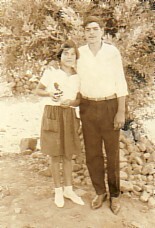 Above Right: My siblings, Penelope and Apostolos. Above: Dancing with Angelos Koudounas. 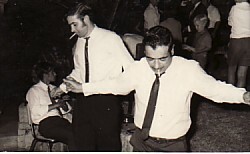 Above Middle: With Manolis Lazoglou. 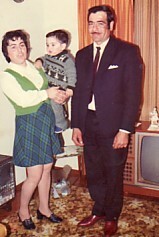 Above Right: With my wife, Panagiota, and our son, Georgios. 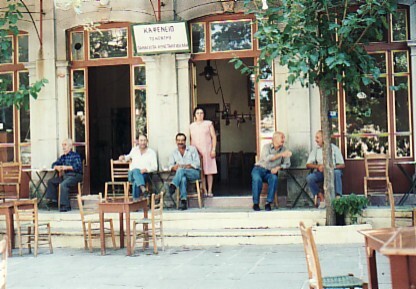 Above: After our family returned to Greece, we owned and ran "Babegas" kafeneio (1980- 2008). L-R: Kostantinos Zangoulis, Petros Remas, myself, my wife, Panagiota, Ioannis Skoumvoulis and Manolis Doudounis. 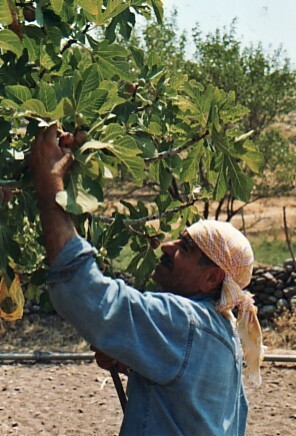 Above Right: Working on our family's fields. 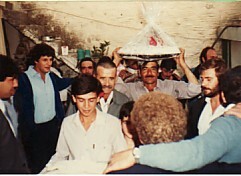 Above: Carrying the traditional baklava at Andonios Skourtsos' wedding in Eressos. 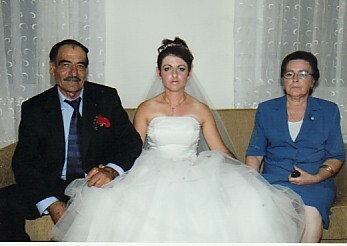 Above Right: With my wife, Panagiota, and our daughter, Chryssa. 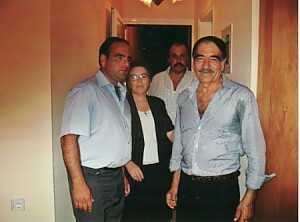 Above: With my son, Georgios, my wife, Panagiota, and Georgios Vloutidellis.